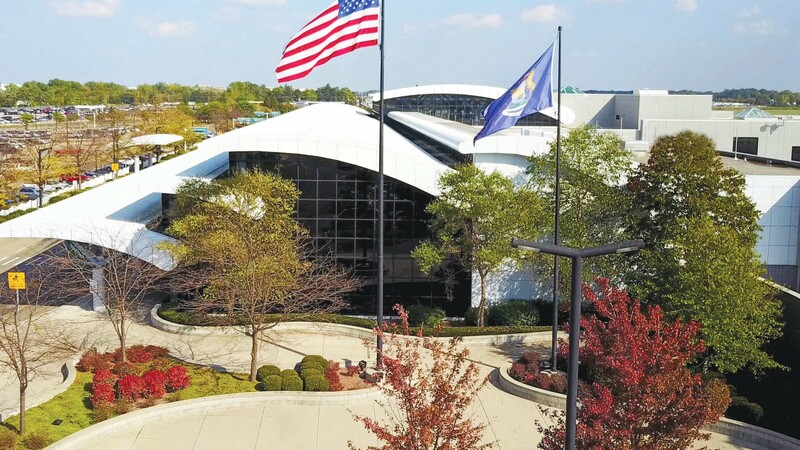 Bishop International Airport, a key economic generator in Flint and Genesee County, is refining itself in an age of some airline industry turbulence. It’s taking proactive steps in planning for the future, adapting to an airline’s departure and trumpeting its convenience, inexpensive parking and ease of use in a new ad campaign. While the airport celebrating its 90th year may not serve as many travelers as it once did, it remains relevant and instrumental to attracting economic development and is a key asset to the area, experts say. The state’s third busiest airport includes 26 companies and 575 employees, offers business travel destinations, daily flights to Chicago, Minneapolis and Atlanta, intermodal options for companies and serves as a shipping hub for millions of pounds of cargo each year. Last year, about 782,000 passengers traveled through Bishop. That’s down about 2 percent from 2016 and from its peak of about 1.1 million passengers in 2005. Williams said he feels about 800,000 passengers annually is “that right spot” for Bishop, though this year that figure is predicted to come in at about 700,000. “We continue to work with our existing airlines, United, American, Delta and Allegiant, to grow more, whether that’s new cities, larger airplanes or increased frequencies,” Williams said. Southwest Airlines, which accounts for about a quarter of the airport’s passenger traffic, announced in November it would end service out of Bishop in June. The airline told local media that while it was a tough decision, it wasn’t getting the results it needed. The move wasn’t a surprise to Bishop, as the airline had left other AirTran Airways markets after Southwest bought AirTran in 2011, Williams said. And Southwest had already cut flights to Baltimore, Las Vegas and Orlando from Bishop in April 2016. Southwest’s loss drops three daily flights to Chicago Midway International Airport and seasonal flights to Orlando, Tampa and Fort Myers, Florida, Williams said. But while there are losses, there are also gains for Bishop travelers. In May, American Airlines will add a fourth daily flight to Chicago O’Hare International Airport and Allegiant Travel Co. also is expanding its service at Bishop. Las Vegas-based Allegiant began flying out of Bishop in April 2016 and provides service to Orlando Sanford International Airport, St. Pete-Clearwater International Airport and to Punta Gorda Airport in Florida. 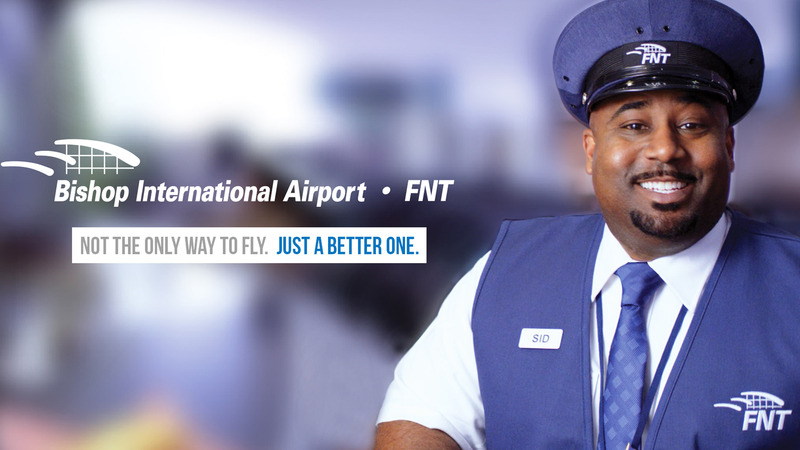 The low-fare carrier, which links people in smaller cities to leisure destinations, is adding nonstop seasonal service from Flint to Myrtle Beach, South Carolina, and year-round service to Fort Lauderdale, Florida, beginning June 6. Allegiant spokeswoman Krysta Levy said the airline has been pleased with its Bishop business and believes the Flint market can sustain a few more vacation destinations. Last year, Allegiant flew more than 75,000 people in and out of Bishop and the airline expects that figure will rise with the new flights, Levy said. And it’s possible other new flights and/or destinations could be added by Allegiant at Bishop. Most passengers come from Genesee or Oakland counties, though the airport does draw people from as far north as Grayling, east into the Thumb and west toward East Lansing. About 65 percent of Bishop passengers travel for leisure and 35 percent for business, Williams said. And he said the airport is working to bolster relationships with area businesses to encourage them and their employees to consider flying from Bishop. Convenience and being quick to get in and out are reasons why Flint-based Diplomat Pharmacy Inc. employees use Bishop Airport to travel, said Adrian Walker, senior manager of Government Affairs and Corporate Relations for Diplomat. “Just getting through security and not having to park far away and take a shuttle, just the time saver of flying out of Flint and how easy it is to navigate the airport, that’s the reason why people prefer to fly out of Flint rather than any other airport,” Walker said. Diplomat employees and executives use Bishop for travel weekly, oftentimes going to Chicago for a business meeting or to attend conferences, Walker said. He said there is an opportunity cost to weigh vs. driving to Detroit, an hour-plus away. Meritor Inc. headquartered in Troy, about 45 minutes from Bishop, also uses the airport for employee travel. Six to seven workers travel through the Flint airport each month, said Jack Reynaert, Meritor’s manager of Global Travel. Last year, the company that produces automotive parts for trucks, trailers, the military and other specialty vehicles, had 70 employee trips fly through Bishop, Reynaert said. Meritor uses Bishop for flights to 12 destinations such as Atlanta, Minneapolis, Chicago and to connect to Asheville, North Carolina. Employees use the flights to visit plants and customers and to attend meetings. Williams is also hopeful Bishop can attract more companies to Flint and Genesee County that need runways to do their business. The airport helps attract talent, companies to the area and helps businesses to grow, he said. At the intersection of Interstate 75 and Interstate 69 and near the Canadian National Railway, Bishop serves as an important economic generator for the Flint area, according to a 2017 report from the Michigan Department of Transportation. It found jobs at the airport generate more than $33 million a year in income alone. And those airport jobs support indirect jobs and visitor spending that supports other jobs. In total, the 2017 Michigan Aviation Systems Plan report said Bishop supports about 3,600 jobs that generate a total of more than $127 million in annual income. In 2009, Bishop finished a $33.7 million intermodal hub project; That same year, a new $14-million FedEx Express sorting facility opened at Bishop. The intermodal hub allows for products to be shipped by air, then be loaded onto a semi-truck. There is space for more airplanes and for another company to ship by air, Williams said. Williams said the FedEx facility employs more than 70 people and is a huge benefit to the community. Last year, Bishop handled 26 million pounds of freight/mail, up nearly 9.1 percent from 2016, according to the Bureau of Labor Statistics. 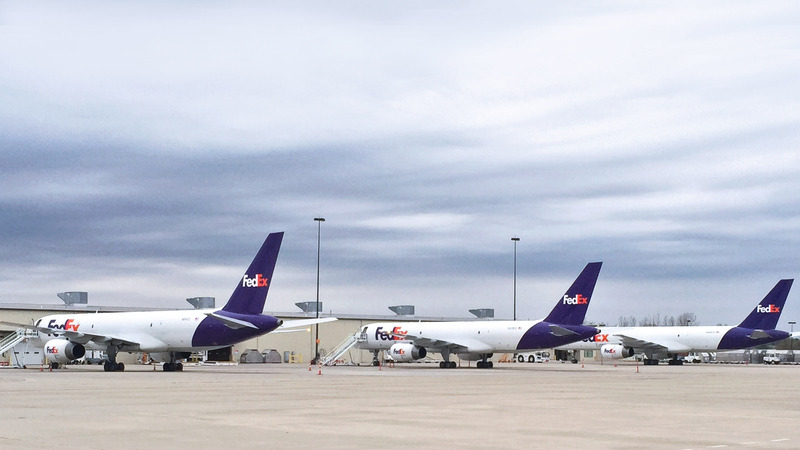 Most cargo at the airport is handled by FedEx, Williams said. A FedEx spokesman declined to comment for this story. The airport is also part of a foreign trade zone, a special designation that allows companies to defer or eliminate import duties. And it’s part of the I-69 International Trade Corridor. The four-county gateway link along I-69 connects the U.S. and Canada and is part of a state designation that incentivizes companies who locate in the corridor and transport goods two or more ways, such as by air then by truck or rail. Bishop also is currently wrapping up its new 20-year master plan, which Williams said he hopes will be completed this summer.